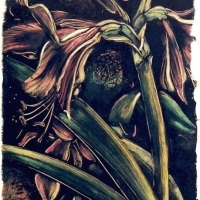 HEATHER ASTON, Canadian artist/printmaker, works out of the Malaspina Printmakers Studio on Granville Island in Vancouver, BC, Canada. 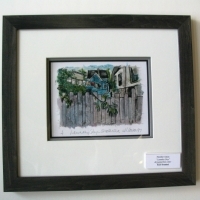 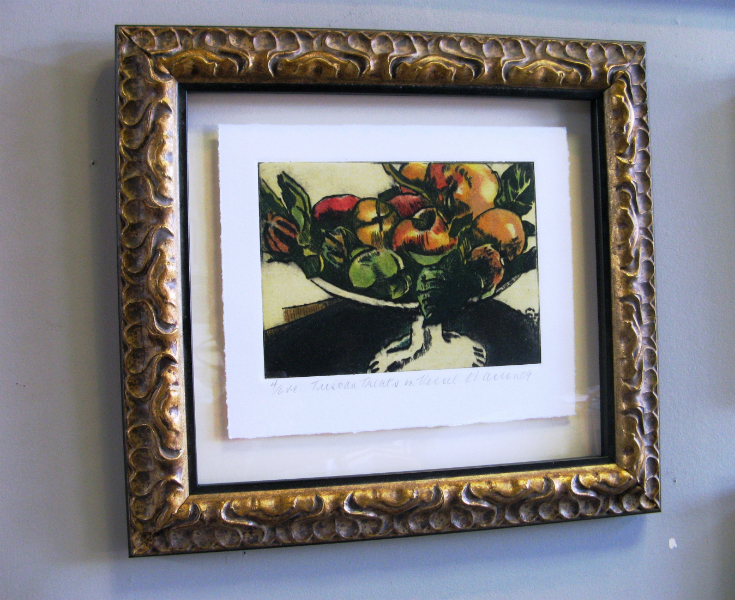 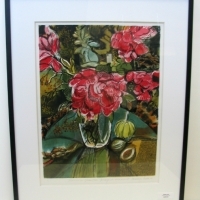 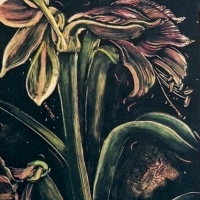 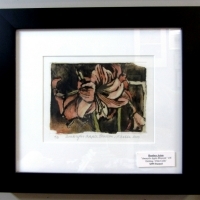 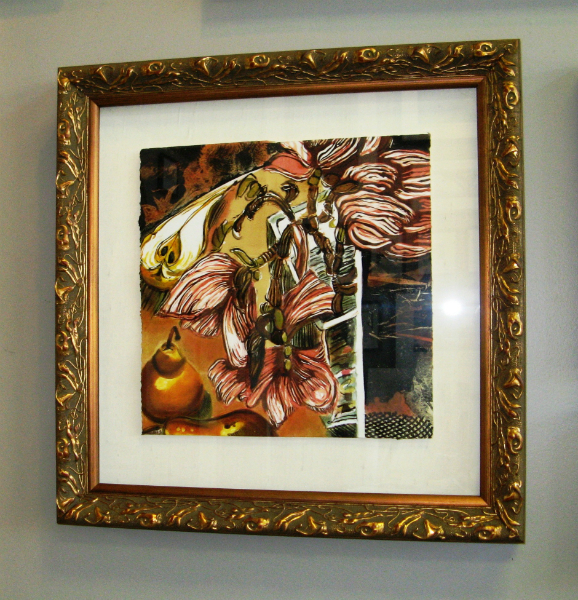 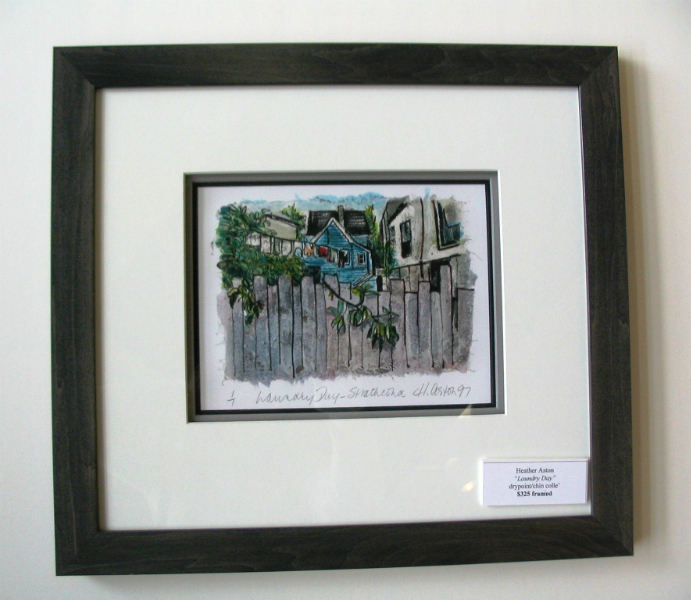 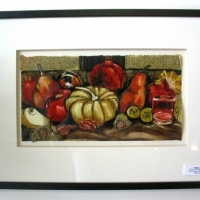 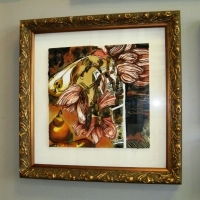 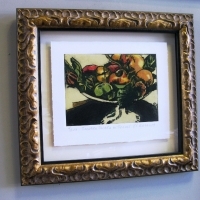 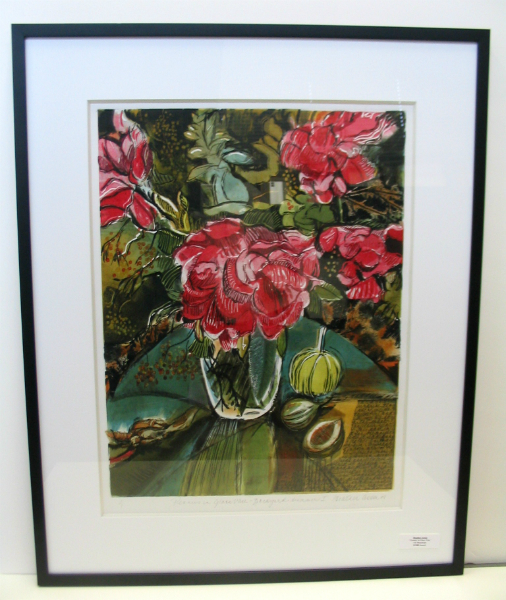 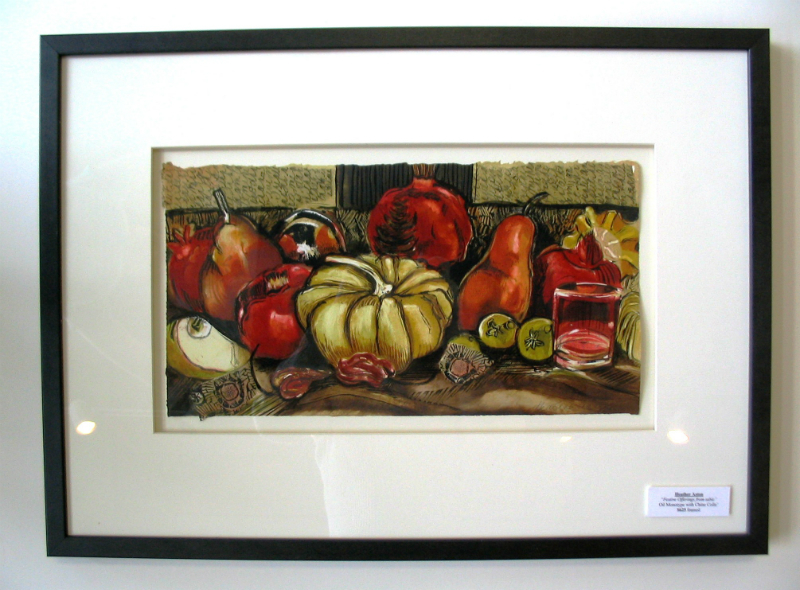 She also teaches printmaking courses and workshops in local communities, studios and schools. 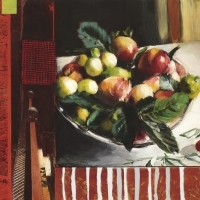 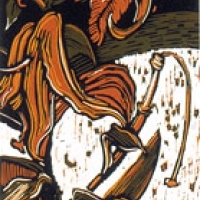 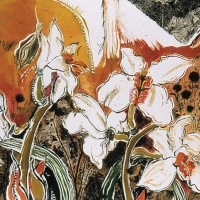 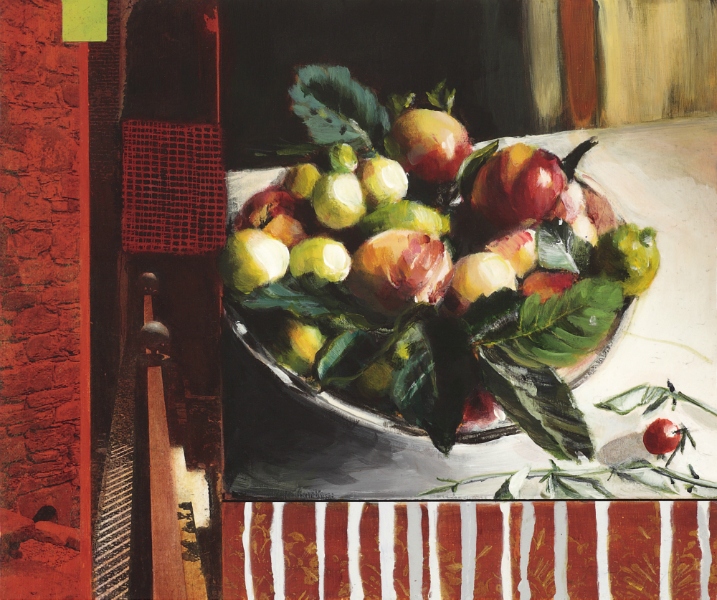 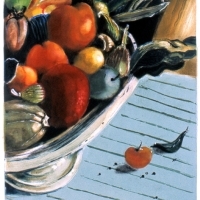 A graduate of The Vancouver School of Art with Honours in Printmaking in 1971, she later continued her studies at the Santa Reparata Institute in Florence Italy. 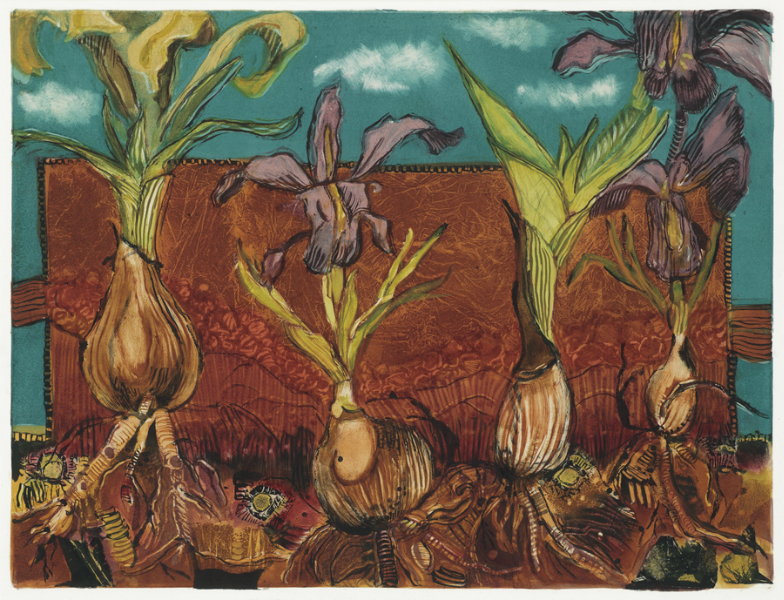 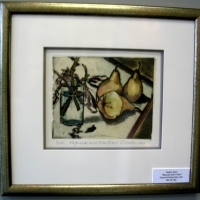 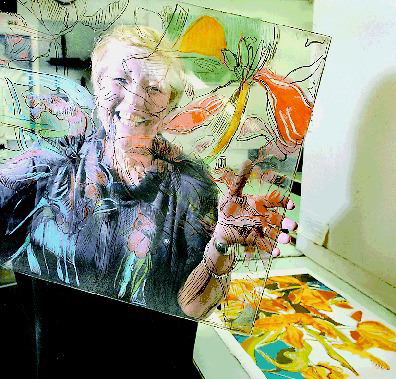 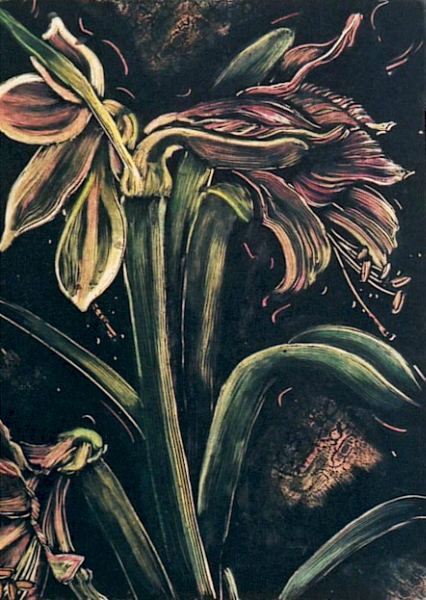 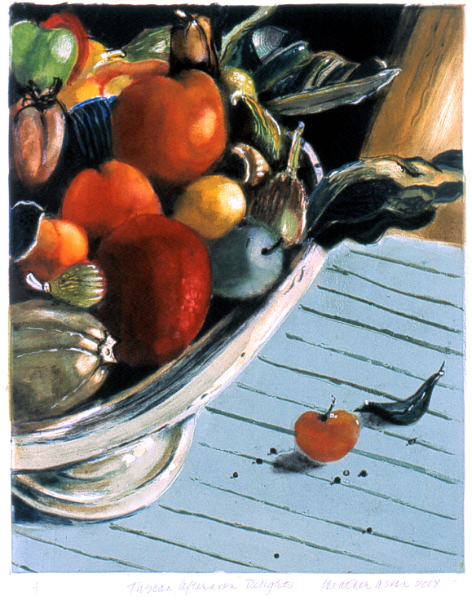 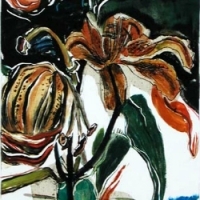 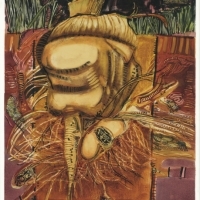 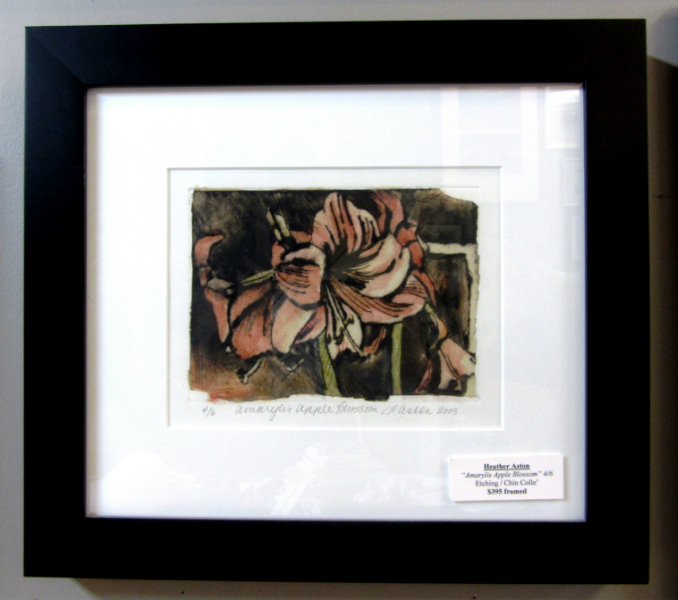 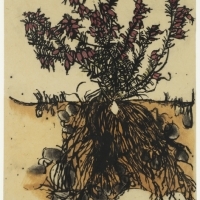 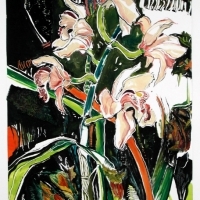 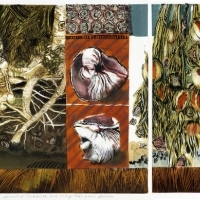 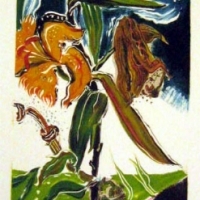 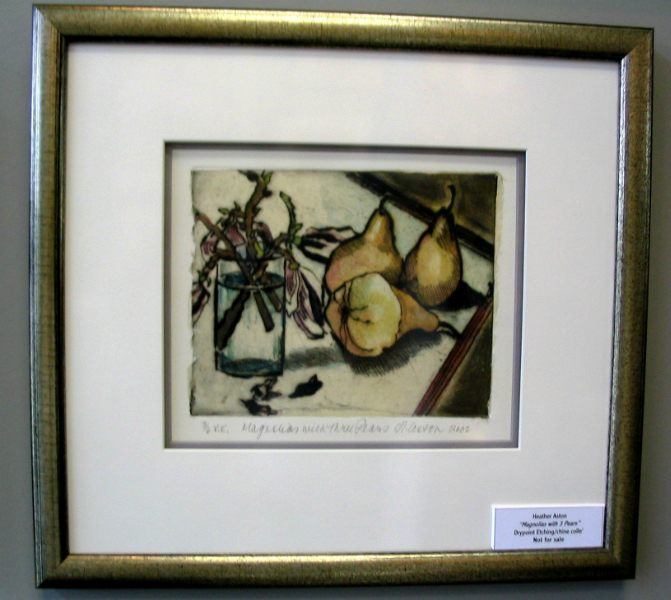 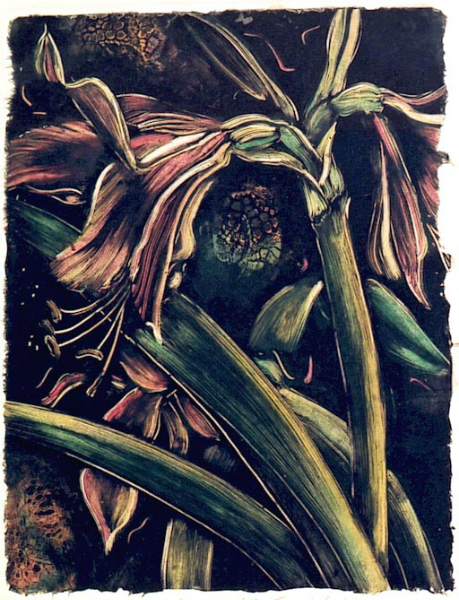 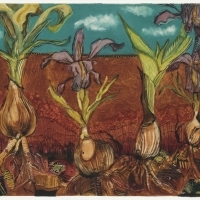 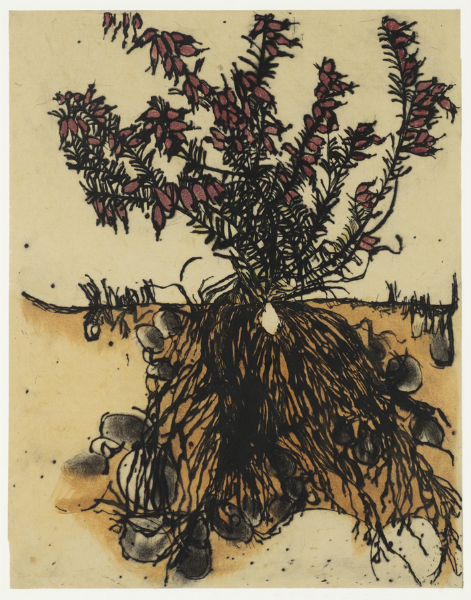 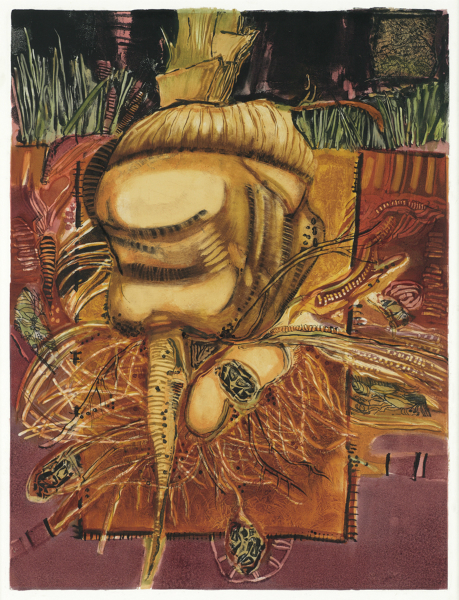 She was invited as a resident artist in 2001 to the OM Printhouse in Yokohama Japan, where she created monotypes and rediscovered her skills in drypoint etching. 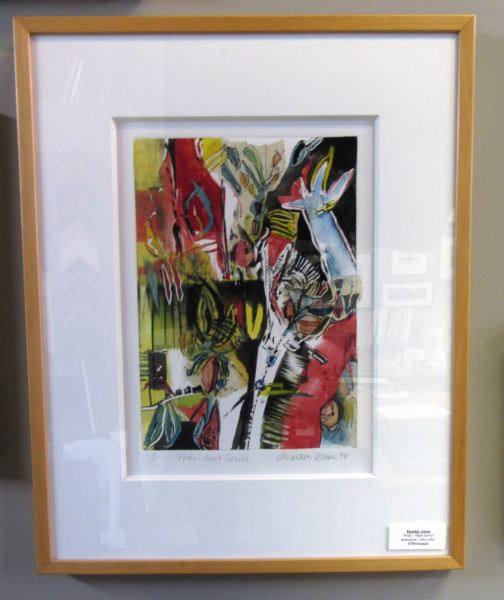 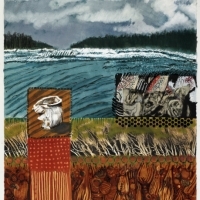 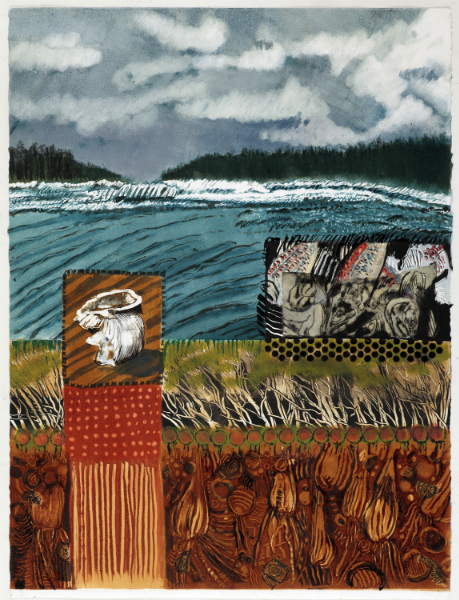 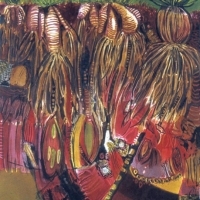 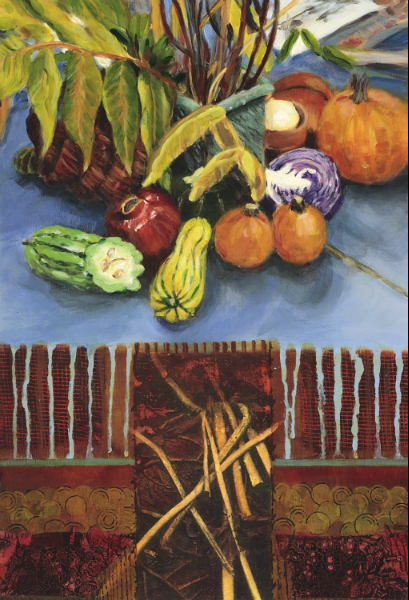 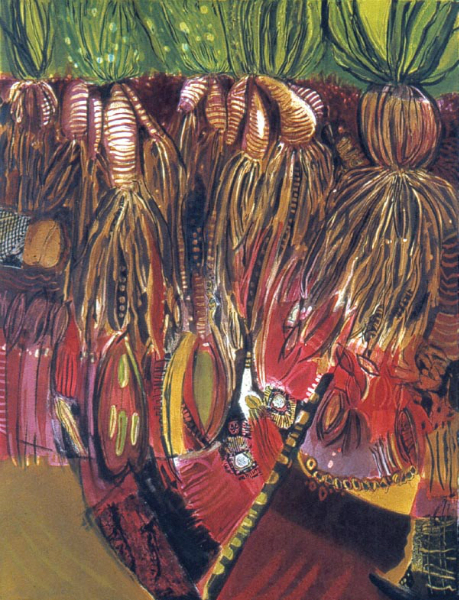 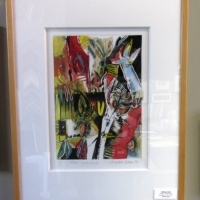 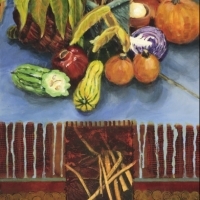 Her work is represented in galleries in three Canadian provinces and is included in numerous private and corporate collections locally and internationally. 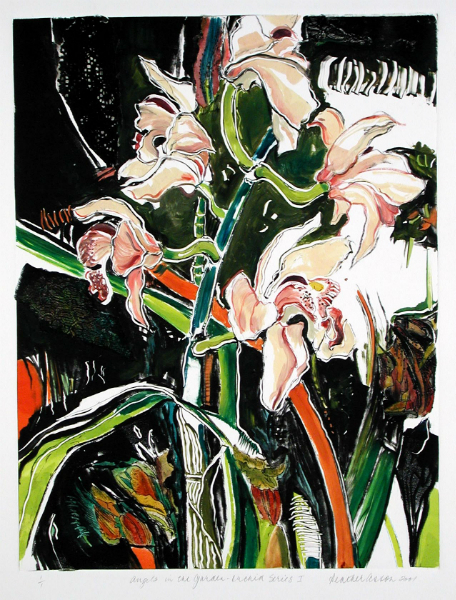 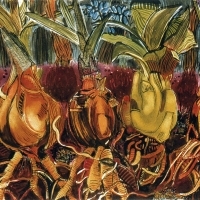 Over the years as an artist, Heather Aston has developed her own printmaking techniques to construct a richly coloured, energetic landscape. 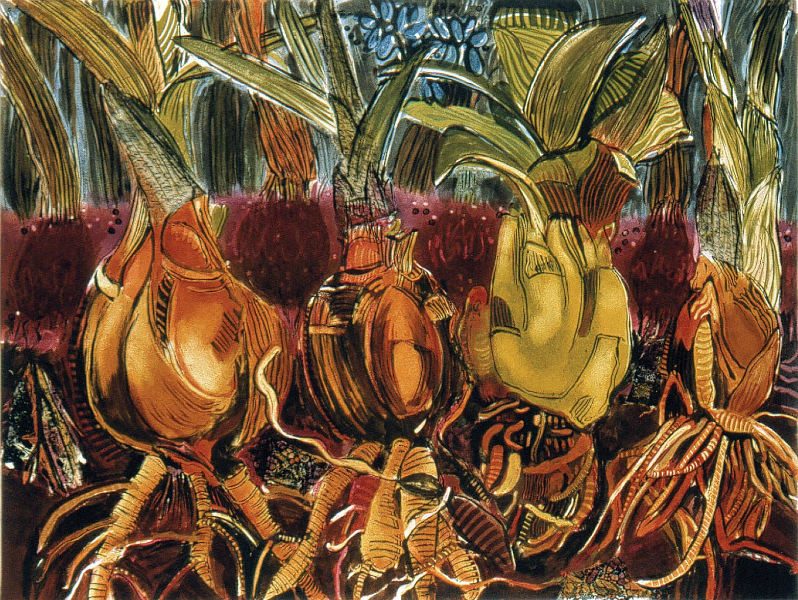 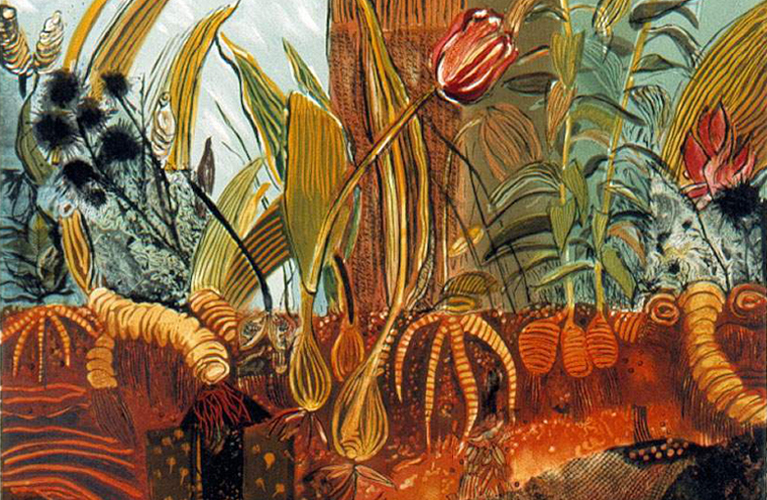 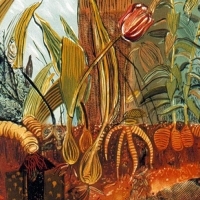 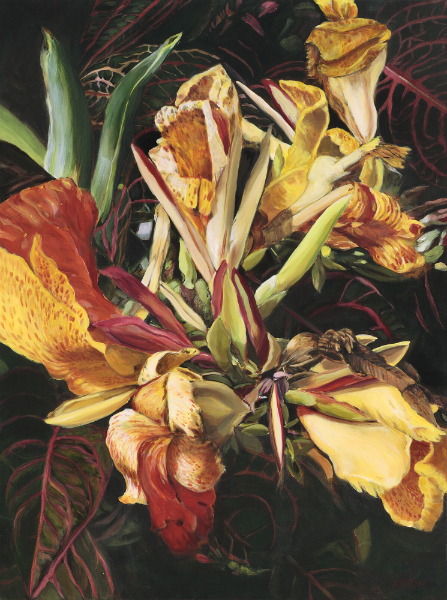 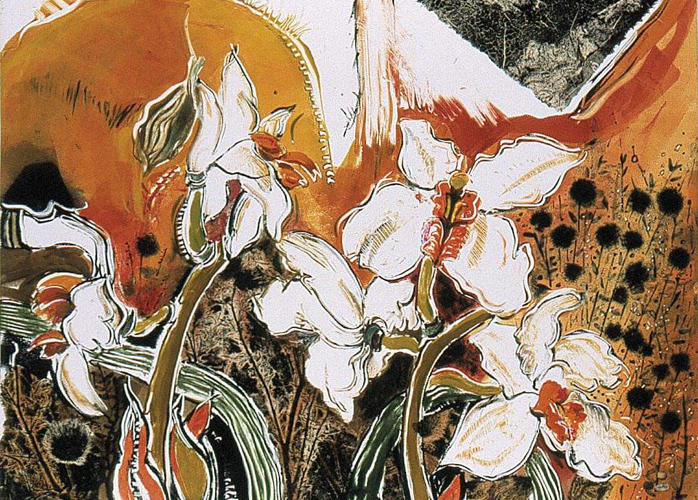 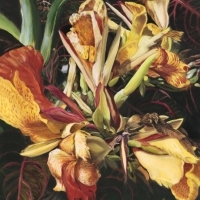 She focuses on the organic world of plants, revealing life’s passages as intimate and surprising.